When you come home from a long day and get ready for some relaxing hot tub time, the last thing you want to find is slime, or biofilm, on the hot tub surfaces. Hot tub slime, also known as spa slime or biofilm, is unpleasant and can absolutely ruin your hot tub experience. The good news is, there are certain steps you can take to prevent and get rid of hot tub slime. What Causes Hot Tub Slime? 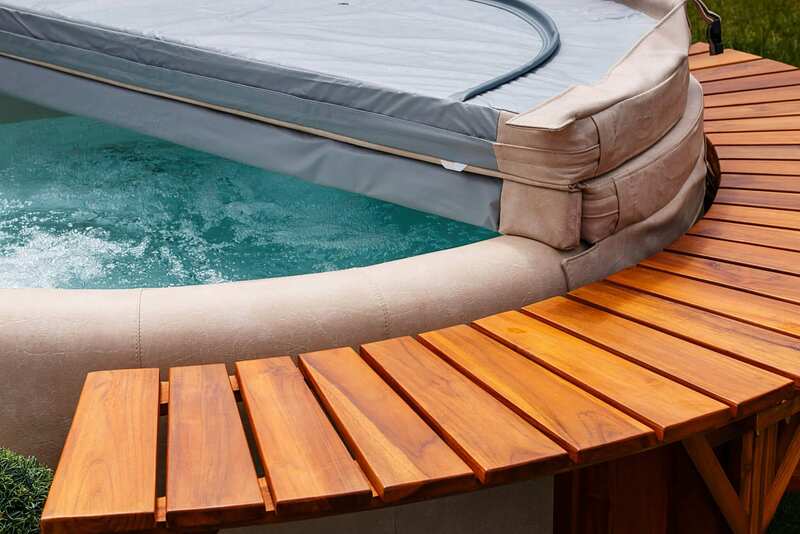 Biofilm in hot tubs is usually caused by an accumulation of bacteria and microorganisms that exist in the interior or the piping of your hot tub. This slime can cause cloudy water – or worse – it can result in an odorous scum-like substance that floats in the water. Unfortunately, hot tubs are the perfect environment for biofilm to grow because they are usually dark, warm and moist. However, hot tubs that are not properly maintained and disinfected are even more likely to experience biofilm growth. Biofilm comes mostly from chemicals in or on the body of people bathing, such as skin oils, deodorants, hair products, lotions and perfumes. Older or damaged filters, imbalanced water and ineffective sanitation can also lead to the formation of slime. Too much of this slime will reduce the effectiveness of sanitizers, such as chlorine. It can also clog up the piping in your spa, and harbor bacteria colonies. Once it takes hold, it is very difficult to get rid of, so the key is to avoid it from happening in the first place. Start by cleaning all the elements of your spa piece by piece. Change the filter, clean the cover and the skimmer, and any parts of the hot tub that are not underwater. Make sure you use a strong sanitizer to eliminate any bacteria from being left behind. Next, shock the water to kill any bacteria and microorganisms. Use four times the amount you would use when shocking the water normally. Turn on the jets and let the spa pump water through all of its pipes for about an hour, while covered. Once you’ve finished shocking your spa you can go ahead and drain all of the water to remove any bacteria built up inside the pipes. After you empty the tub, scrub it down well with an all-surface cleaner. Make sure you hit every part of the tub including the floor and the jets. You want it to be as clean as possible, to make sure the slime does not grow back. After this, you can fill up the spa with water again. Let’s be honest- nobody enjoys draining and scrubbing their spa to get rid of slime. The best way to deal with biofilm is to avoid letting it grow in the first place. You can prevent hot tub slim with regularly scheduled maintenance, cleaning and sanitizing. A little bit of attention will go a long way in preventing a problem that will require much more effort if left untreated. These steps will help make sure you avoid the growth of slime and keep your spa clean and healthy at all times. 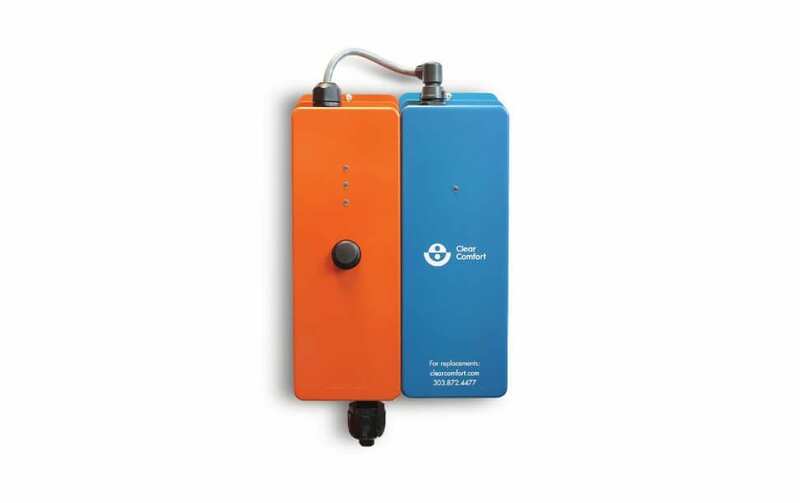 Test your water once a week to determine pH and alkalinity levels. Aim for a pH level of 7.2 to 7.6. Anything below this level will be too basic, reducing the effectiveness of your sanitizer and causing cloudiness. Anything above that level will be too acidic, causing corrosion of your hardware as well as skin and eye irritation. For alkalinity, you want to have 80 ppm to 150 ppm, or parts per million. High levels will cause cloudiness and scaling. Add a sanitizer and test again to make sure the water is properly balanced. A weekly shock with your choice of sanitizer will prevent bacteria and microorganisms from building up and will make your residual sanitizer more effective. A clean filter is essential for protecting against biofilm, bacteria, algae and other unwanted contaminants. Rinse the filter out weekly with water, and use a chemical rinse once a month for a deeper clean. Covering your spa when it’s not being used will prevent debris, animals and rainwater from getting into your pool and will keep the water much cleaner and clearer. By draining and cleaning the interior of your hot tub every few months or so, you can prevent chemical buildup and other problems that can come from waiting too long in between cleanings. This will prevent all sorts of performance issues that may otherwise require expensive repairs to fix. Supplementary sanitization such as Advanced Oxidation Process (AOP) systems is a great way to keep your spa water clean, clear and fresh. AOP spa systems produce hydroxyl radicals which oxidize your spa water destroying all sorts of contaminants on contact. They can allow you to reduce or eliminate the need for chlorine in your spa and will protect against chlorine-resistant parasites, such as Cryptosporidium. Sometimes biofilm is unavoidable in a hot tub, no matter what you do. As long as you are regularly performing proper maintenance and adequately sanitizing your spa, you should be able to avoid any major issues. By following these steps and performing some basic preventative measures, you will save yourself time and money down the road in repairs and replacements. Want clearer, cleaner hot tub water with less draining and refilling? Take a look at the spa water before and after pictures in our blog Case study: How to clear a hot tub without chlorine or bromine.